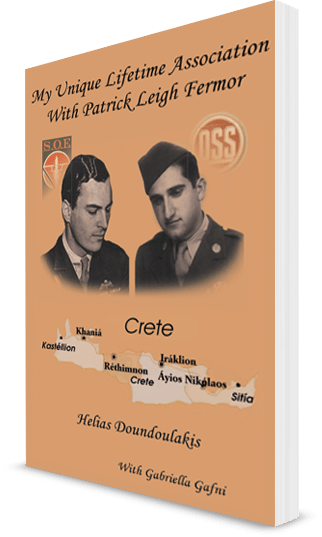 The German presence was still everywhere on the island of Crete in July, 1942 when Helias, a nineteen-year-old member of his brother George’s famed resistance movement, went to the bus station in Chania Porte to greet Patrick Leigh Fermor (then known to the Greeks by his code name, “Mihalis”), who was scheduled to replace Captain Thomas Dunbabin of the Special Operations Executive (the “SOE”), the British equivalent of the United States Office of Strategic Services (the “OSS”), formed to assist local resistance movements fighting against the Axis powers. In this exciting account, Helias narrates the adventures that ensued after that momentous meeting. SEE MORE ORDER A COPY NOW! Copyright © 2015. Helias Doundoulakis & Gabriella Gafni. All rights reserved.